Offer the highest quality components at fair and competitive prices. Be the finest overall supplier to our customers. This means delivering the correct products, on time, every time, and to do what we say we are going to do, always. Provide a work place for people who are dedicated, knowledgeable and ethical, who believe in the Company and the Company’s philosophy. HALO Electronics, Inc., a privately held company, incorporated on September 19th, 1991. The company goal is to offer the highest quality magnetic components at the lowest possible total cost. This is accomplished by maintaining the highest standard of service, quality, leading edge technology and the development of new, “cost effective” solutions. Delivering our products on time is an important pledge we have made to our customers. Our goal is to deliver on time, every time to all of our customers. Our delivery commitment is exemplified by the development of our advanced computer system that manages inventory levels and production schedules based on sales history, current orders and forecasts. HALO continues to provide technology leadership in the industry by developing next generation solutions today. Many of these new products can be found in our press release section of the HALO website or in our corporate brochure. The company is composed of experienced manufacturing, marketing and technical management personnel representing well over 200 years of excellence in communication and low power management magnetics. The management is committed to meeting the current and future needs of our communication and power management customers. Both ISO9001 manufacturing facilities are located in mainland China. These sites provide in excess of 100,000 square feet of production space with 1200+ qualified employees. 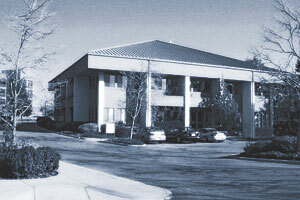 Sales offices and/or warehouses are located in Santa Clara, California, Las Vegas, Nevada, Hong Kong and Singapore. Regional Managers operate in satellite offices in key locations in North America, Europe and Asia. In addition, HALO is represented by manufacturer’s representatives and distributors worldwide. Several major semiconductor manufacturers such as Analog Devices, Broadcom, Exar, IDT, Marvell, Maxim Integrated Products, PMC Sierra, and Texas Instruments recognize HALO Electronics as a premier supplier of magnetic components. We have proven our quality, reliability and cost effectiveness to major customers around the world. We welcome the opportunity to serve you and your company’s requirements.